Engadget says that a white “iPhone 4s” – note the lowercase status of the “s” – has appeared in an internal AT&T system. “4s” is of course close to the “iPhone 4S” nomenclature we coined within our story about Apple seeding A5-equipped iPhones – with iPhone 4 designs – to developers earlier this year. The system that Engadget is calling an “inventory system” is not actually the one used in stores, and based on the accompanying text fields, that system looks to actually have to do with customer care. 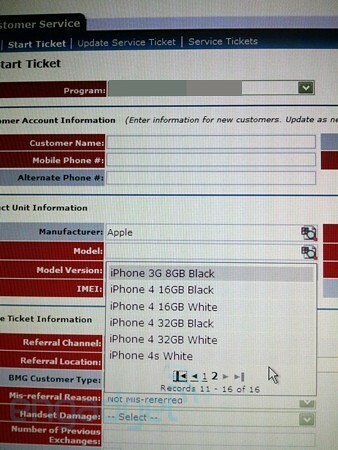 Additionally, the iPhone 3GS appears with a capital S in AT&T’s inventory systems.